“You can find out more about a person in an hour of playing than in one year of conversation”. This sentence sums up in an effective way the spirit that has guided, along almost one year, the GEM consortium that has met for the final meeting and international dissemination seminar in Palermo on 20 and 21 of July 2017. Just as in every journey, full of spectacular landscapes and challenges to face, there is a moment before the return where what has been experienced will be evaluated. GEM’s final meeting has been an important moment for reflection, sharing and analysing the entire work carried out by the partnership. 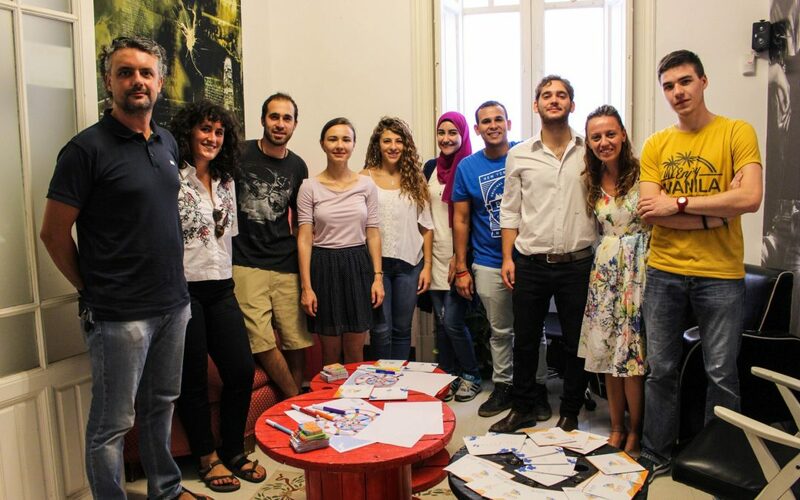 The main focus of these final shared moments has been the GEM board game: an educational product that allows players to learn about history, customs, food and the main events of the partner countries of the project: Italy, Palestine, Egypt and France. The game has been tested by more than 160 youngsters (aged 14-20 years old) among partners countries, obtaining a very positive evaluation. The project’s achievements have been shared during the international dissemination seminar attended by more than 40 people from local associations, schools and reception centres, as well as non-formal educators, students who attended workshops, teachers, or just people curious to know GEM and the board game! Sharing of the experiences of the different countries (thanks also to the speeches of representatives from partners’ organisations). The event has also promoted networking and mutual knowledge among local associations and between project’s international partners supporting the sharing of opinions and ideas for the development of innovative strategies for education to intercultural citizenship. In August, the project partners will organise a local seminar in their countries to further enhance and multiply project’s impact and knowledge. WASEELA – Waseela for training and development (Egypt). For more updates, follow our Facebook page or go to the project website gameforeuromed.eu. For more information about GEM, feel free to contact: letizia.portera@cesie.org and giovanni.barbieri@cesie.org.